the great-grandson of Habs legend Howie Morenz became the fourth generation of that family to play at the highest level of hockey. Every team has its share of different personalities in the dressing room to keep things interesting over the course of a season. In this department, the Phoenix Coyotes are certainly a diverse bunch. Their room boasts the quiet and steadfast leadership of Shane Doan, the veteran savvy of Adrian Aucoin, the brash and ‘plugged-in’ Paul Bissonnette and the dry and deadpan humour of goaltender Ilya Bryzgalov. Combine Bryzgalov’s humour with the quirkiness associated with most, if not all goalies, and you have a unique and special kind of player to add to any dressing room chemistry experiment. His humour keeps teammates, staff and media alike on their toes, but his play is what is helping the Coyotes stay firmly entrenched in the tight Western Conference playoff race. The Russian veteran is no stranger to putting in work to get the job done. 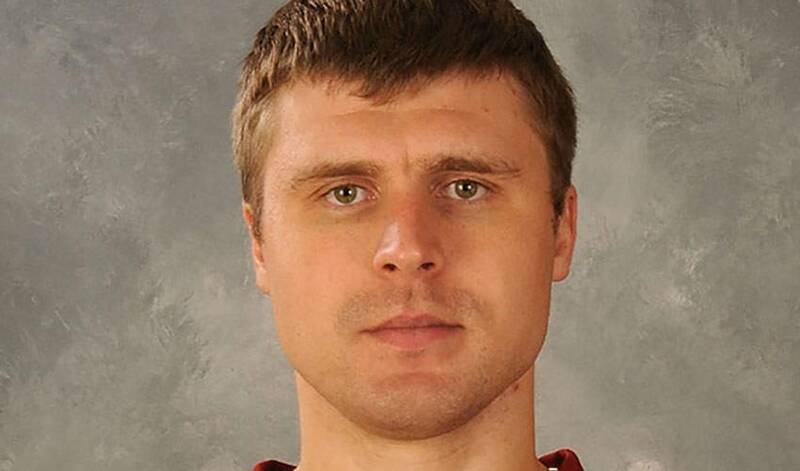 After being drafted 44th overall in the 2000 NHL Entry Draft, Bryzgalov started his professional career in Russia, before making the jump across the Atlantic to the NHL. Once here, he had to battle to prove himself, spending the better part of his first four seasons in North America playing with the Cincinnati Mighty Ducks of the American Hockey League. After working his way to Anaheim and into the Ducks lineup, Ilya played a significant role as a solid option between the pipes for the Ducks, ultimately helping them to a Stanley Cup championship in 2007. After tasting victory with the Ducks, Bryzgalov was then picked up on waivers by the Phoenix Coyotes early in the 2007-08 season, and immediately earned himself a contract extension with his solid play. Since arriving in Phoenix, Bryzgalov has become a mainstay for the Coyotes, giving the team consistent and strong goaltending and helping them to the playoffs in 2009-10. Things are no different this season, as Ilya continues to provide the team with strong play on the ice and quirky and funny moments off it, as the Coyotes come down the stretch looking to secure another chance to battle for the Stanley Cup. Has represented Russia at numerous international events, and has captured hardware at the 2000 IIHF World Junior’s (silver), the 2002 Salt Lake City Olympic Games (bronze) and the 2009 IIHF World Championships (gold). After a restful and healing season away, Ilya Bryzgalov is focused & driven to get back into an NHL crease.